Today's Blog is written by Rev. John Candy. 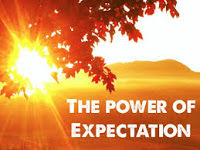 When we woke up this morning, many of us stepped into a world of expectations. This was not a conscious decision; it's just where we live, in a land where life is so good we have the luxury of taking many things for granted. The air conditioning stayed on, so we could awake to a comfortable room temperature; and if it was dark when we awoke, we reached for a light switch, so the invisible dangers could be revealed. Then we walked into a room with running water inside the house. On a Sunday some of you will be even listening to my voice over the sound system you expected and hoped to work so you could hear me when I turned the switch on. However this Sunday will be different in that we are in Melbourne but the expectations are still there. So many things we expect in life we just take for granted until something doesn't work. The alarm doesn't go off. It's hot in the house. The light switch is non-responsive. We panic for a minute. We get frustrated. Then we think, "This is not how my day is supposed to be. My life is supposed to play out in such a way that I have all that I need to be comfortable. However, this morning, somebody or something flipped the script. And now I have no power when I'm supposed to have power." Most of the rest of our world plays out a very different script; a minor power outage is disappointing. Outside of our country or outside of our neighbourhood there are problems and concerns many of us can't even begin to comprehend. There are illnesses that can't be treated, people dying in need of food, political and civil unrest, and overt exploitation and abuse of humanity and nature. A power outage in most of the world is a good day. Yet many of us see the discomfort and shock of power outages in this country, natural disasters like hurricanes and weather-pattern changes, wars in places where wars have been waged since the beginning of recorded history, and some of us interpret these events as "the sign of the times." Where we live, 'be alert' became more a catch-cry in the 'war against terror' or a tool in the weaponry of road-safety campaigners, than an issue of spiritual 'safety'. What kinds of spheres do we need to be alert in where we live? What do we expect our world to be like in such an environment? One field in which we certainly need to remain spiritually alert and informed about our expectations is in the face of the multitudinous cranks out there, peddling extremist, fundamentalist versions of what Jesus is on about. Not just in what we consider 'extremist' churches, but within mainline ones these days. The recent debates and news about abuse issues and about same gender acknowledgement are some examples. It can happen! It doesn’t just happen out there somewhere but can happen right here amongst one’s own community. How can we live in our time and God's time at the same time, in the world and in the church as Christ's Body, and do it free from fear? 'Perfect love casts out fear' says John. Persecution of Christians these days in some of our societies is just as likely to come from fundamentalist protestant or catholic factions within churches more than from outside. Those out there in the wide margins can still persecute and the possibility is growing within in some quarters. The places where misguided people try to draw in church margins tightly round fellow Christians. Isn't it ironic that that's the way Jesus' warnings may be fulfilled today? That Jesus speaks of wars, earthquakes, and famines, as 'the beginning of birth-pangs' could be a helpful way of exploring the pains that our world still - as always - labours under. 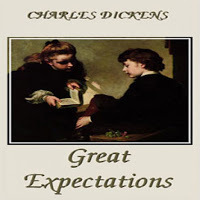 We have become very comfortable with the expectation that all will remain the same or get better. I really wonder where our focus might be. Is it in the expectation of all the comforts being there and available all the time? On the other hand, is it on where God calls us to be and is it on the most important thing of God’s great love for us. 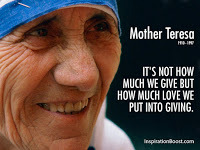 What do we really have to bear to bring something worthwhile to birth? Have we even thought about it? Have we thought about what it is we are meant to be doing here and now? As distinct from theological philosophising, what practical and constructive steps must we take to 'endure to the end'? I will leave you with some more questions to ponder over the next weeks before our focus is taken to shops and parties and gifts and all the other trappings of our western Christmas lifestyle. Are we as Christians or even those outside the faith listening for what we say and working out how we act in love as we face those whom we meet day to day? And what is this end that Jesus talks about? Whom, is the end for and is it important? Is the Christian call to be working to enable God’s kingdom to be here and now in his love the most important thing? Is this scripture passage too close to the bone? 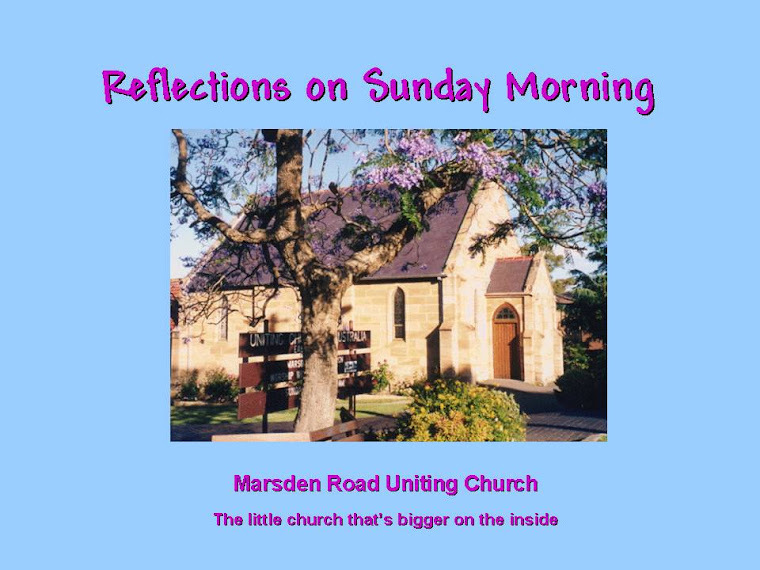 MARSDEN ROAD UNITING CHURCH SUNDAY 4th NOVEMBER. Look to the saints of God for direction. Trust in the saints of God for guidance. Be the saints of God for the world. Look, here is our God, the One we have waited for. Let us be glad and rejoice in our salvation. Come feast on rich food and dine on fine wine. Enjoy the blessings of the Lord, the vindication from our God. Come! Let us worship the Lord. Hymn TIS 448: “Blest are the pure in heart”- That is, those who have opened themselves to God’s healing touch, allowing a new beginning. That can happen as often as we allow God into the deepest part of our lives. God of new beginnings remove the shroud that separates us from one another and from your mighty presence, that we may see you as you are. Wipe away our tears and take away our disgrace, that we may come before your throne with hearts full of song and souls ablaze with joy. Help us to live as those who are prepared to die and enable us to die as those who go forth to live, so that whether living or dying, our hearts will always belong to you. Amen. Wellspring of tears, you know well our grief and our longing to see you face to face. O how we wish you would come down and save us. In our pain, we have grown impatient. In our sorrow, we have doubted the depth of your love. Forgive us, Patient One, when we forget that Jesus wept at the death of his friend Lazarus. Renew our faithfulness, Holy One, when like Mary and Martha before us, we despair of tasting the joy of eternal life. Open our mouths to exclaim with delight: Here is our God for whom we have waited! We need your grace to complete us. We need your love to make us whole. Amen. Today we were thinking about All Saints Day. 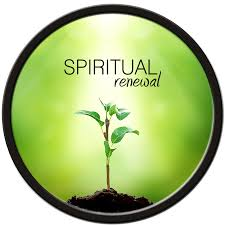 The Bible readings all, in different ways, turned us to the thought of possible renewal…new beginnings. 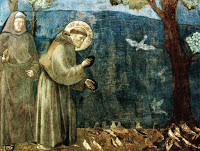 Saints are those who seek to live their lives according to God’s will. It's not the same as learning to play better tennis or golf by taking some advice. The only way we can live according to God’s will is by opening ourselves up to being remade in the way God intended in the first place. A bit like a retrofit but there's a more demanding element. Because we are humans we keep undoing the remaking and need to turn back for another work of God in our lives. I often wonder who this God is and how we can become alloyed with the divine holiness. I have no idea about the form God takes. I think God dwells in Creation somehow. God isn't some person living “out there” but on the other hand, my experience tells me God is available here and now to do that work of renewal as often as it needs doing and as often as we humble ourselves to that divine work. Today was also a day when we celebrated communion. behaviour of we humans, set his face unto Jerusalem. found and there is only one totally reliable source. “May light come into your eyes.” That's what happens when we accept renewal. Today was also a day when we celebrated communion. By doing that we remembered that Jesus, knowing the truth, knowing the solution to the perpetually destructive behaviour of we humans, set his face unto Jerusalem. He didn't turn aside, knowing what the outcome was going to be. He couldn't stop telling the truth, even if it meant he would die. That's how important the truth is: it's there where renewal is found and there is only one totally reliable source.